"My heart is broken," Chattanooga native Diane Moseley Crabtree told the Times Free Press. 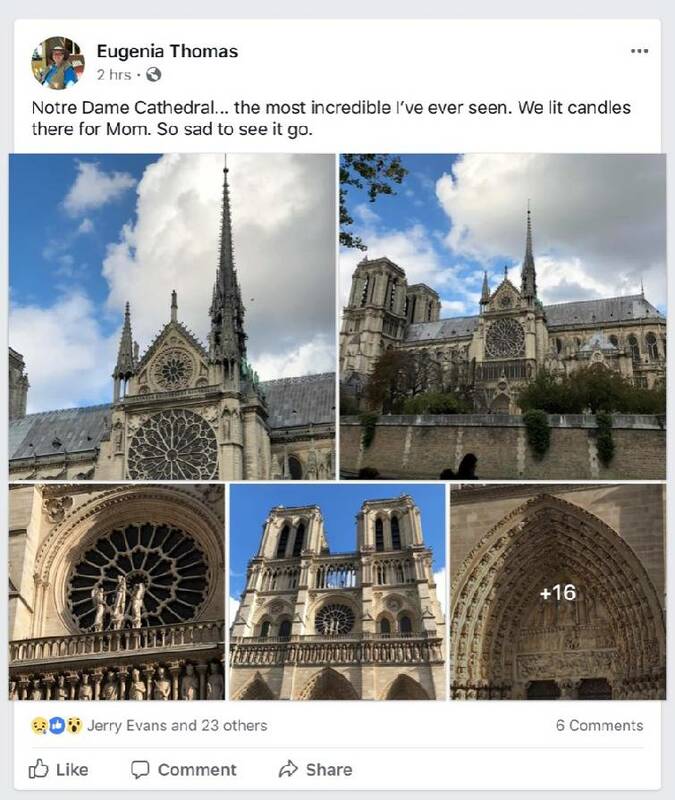 "I fell in love with Notre Dame at age 12 on my first trip to Paris and I return every time I'm there to light a candle, say a prayer, go to Mass. It's the spiritual center of France and for many, many people the spiritual center of all of Europe. I am completely devastated." Since that first trip as a girl, Crabtree has been back to the city 23 times. Now she's retired and lives in Nashville, but two years ago she and her husband bought an apartment in Paris, achieving a "lifelong dream." "I'll be there again April 24th," she said, "and Notre Dame will be the first place I go." Cathy Crawley, of Hixson, and her partner, Eugenia Thomas, visited the cathedral in October 2017. Crawley said she feels blessed to have gotten to see it. 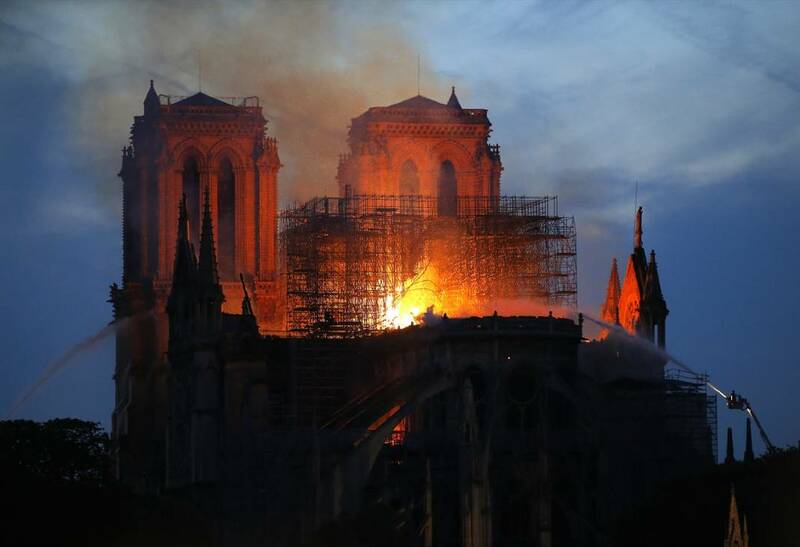 "Notre Dame is the most awe-inspiring work of architecture I have ever witnessed," she said. "I had to keep telling myself 'This is real and not a dream' as we walked past the beauty of it all." Thomas said it was "an awesome sight." "I remember not being able to stop looking at the craftsmanship and architectural design," she recalled. "We wondered how in the world they managed to create that kind of detail in the time period, with little to no modern tools. Once we stepped inside I was awestruck again. The stonework on the ceilings and the archways leading out to those beautiful stained-glass windows filled my chest with joy." It was an experience of a lifetime, Thomas added. "I've often though of it since we were there, and thought it'd be worth the trip back to Paris just to see it again," she said. "Today is a sad day."